Somerset People from SIBLING AND RIVAL on Vimeo. Growing up in Somerset on a cider brandy farm, people were always dropping into the farm house kitchen, sitting down for cups of tea or glasses of cider brandy without any regard for the time of day. They'd arrive and talk for a short time about the reason they were there, usually something to do with the production of cider, then spend far longer talking about something completely different, local gossip, adventures of yesteryear, predictions for the future, anything that seemed to come to mind. I remember thinking that it was like one continuous conversation that different people would pick up and put down, but the spirit of it remained the same. 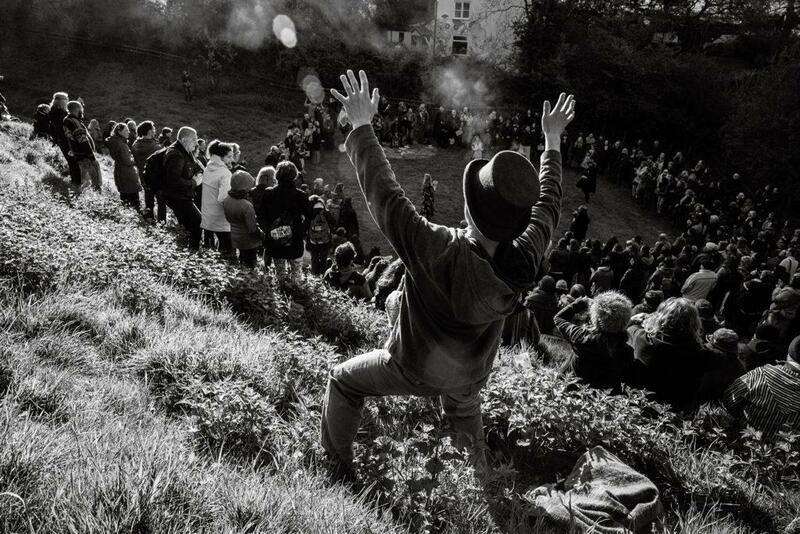 I now make films with my partner Lara in London and this project came about as my sister Matilda Temperley was commissioned to do a photography exhibition at the Somerset Rural life museum about the people of Somerset from her perspective of growing up and living at the foot of Burrow Hill. Matilda asked us if we'd like to make a film for the exhibition and we jumped at the chance. We set out to make a film but with no particular idea of what we wanted the end result to be. In our day to day life we make films for big brands who have a purpose they want their film to serve and so they reverse engineer a story or situation to suit, and sell that. For us this was the opportunity to do just the opposite, to turn up and film people talking about whatever they wanted to talk about and from person to person, see if there was some sort of shared spirit of Somerset, some outlook or feeling that connected people that for the most part were complete strangers. This was both the joy and the challenge of the project. So off we went, starting with a legendary cider maker then on to a resident artist at Glastonbury festival before meeting a man in his 80's for whom roadkill is a big part of his diet and so it continued throughout 2018. The freedom of being able to walk into people's lives with a camera, for them to invite you into their their homes or places of work and tell you their life story, dreams and aspirations or their thoughts on the life they have lead has been a total privilege and the novelty has never worn off. It wasn't until the edit that connections between these lives began to emerge. All of the people we met along the way shared a quiet, creative spirit of individuality and had worked hard to find a life that fulfilled them, often foregoing the trappings of modern society and the status quo. It seemed these deeply thoughtful people had gravitated towards Somerset or stayed there as it's a place that not only allows but celebrates this individuality. I realised that these were the people at the kitchen table and it made me realise why I have so much love for the place. Over the past year documentary and fashion photographer Matilda Temperley has been exploring the county with her camera. well as capturing Somerset’s wonderful distinctiveness, the project has also documented some of the issues facing rural communities. Admission as part of entry. Matilda’s accompanying photo book, ‘Somerset: A View From The Hill’, will be out shortly and available from her website.